Jamal is a Lebanese driver in his late 50’s. He appeared unshaven and terribly exhausted as he drove his old passenger van from the airport in Beirut to the Bekaa Valley. Although it was not a particularly arduous trip, it was made more grueling by the way Jamal drove, negotiating the elevation, the hectic traffic and the many army vehicles speeding by. In Lebanon, a sense of urgency always seems to prevail, even when there are no urgent matters to tend to. Jamal’s driving style has probably changed little through the successive Israeli wars and bombardments of Lebanon in past years (the last being the 2006 war, which destroyed much of the country’s infrastructure and killed hundreds of civilians). Jamal was referring to a joint historic visit to Lebanon by Saudi Arabia’s King Abdullah and Syrian President Bashar al-Assad on July 30. President al-Assad joined King Abdullah in his plane, where they stayed for a few hours and lunched with Lebanese leaders. The occasion marks the first visit by a Saudi King to Lebanon since 1957, and also al-Assad’s first trip to Beirut since the assassination of former Lebanese Prime Minister Rafic Hariri in 2005. While both these fact are important, what is most interesting is the fact that Syria and Saudi Arabia once stood at complete odds over the rivalry in Lebanon between two collations – the ruling March 14 Coalition and the one comprising the opposition under Hezbollah’s leadership, the March 8 Coalition. While Jamal was puzzled by the July 30 visit, he is hardly confused about where he stands. He remains unquestionably a fervent supporter of Hezbollah, the Shia group that led the Lebanese resistance that forced an Israeli withdrawal from Lebanon in 2000. Many believe it also defeated the Israeli forces that attacked Lebanon in 2006, and see the group as a symbol of Arab resistance against Israeli threats. But Jamal, like many of Hezbollah’s supporters in Lebanon is not Shia. He is a Sunni. Jamal’s wife of many years died two months ago. He saw her as his life partner and his “only love in life.” As he spoke about her, he breathed in the smoke from his cheap cigarette – as if carbon dioxide might somehow help to rejuvenate memory. He held in the smoke as he began searching for something on his duck-taped cell phone. As if the frenzy on the road was not dangerous enough, Jamal then paused to locate a photo of his wife, a shy and kindly-looking woman in a white headscarf. She was 55 when she died of cancer. For a poor man like Jamal, medical treatment would normally be confined to whatever public hospitals had to offer. But private hospitals subsided by Hezbollah made it possible for Jamal to ensure that his wife received the best in medical technology. Although she eventually succumbed to her illness, she was shielded from pain under the care of competent and respectful doctors and nurses. No, there should be no ‘eureka’ moments here. Jamal’s passionate support of Hezbollah is not simply self-serving. He is very clear on his ideological affiliations and is not hesitant to point out their shortcomings. Also, if he was seeking personal benefit, he would surely be driving a better car, wearing a nicer shirt, and smoking fancier cigarettes. “Hezbollah made it possible for a man like me to be proud again,” he said. According to him, Hezbollah’s heroism in the battle field, and unconditional social services provided mostly to the poor in Beirut and elsewhere restored his pride and dignity. But Jamal himself is a self-declared Arab-Nationalist, a Nasserite even. Unlike other cities, Beirut doesn’t convey one overall impression and experience. The photos of the war martyrs – with most recent victims having newer and larger posters – are mixed with many signs of globalization. While Jamal’s car seemed commonplace in West Beirut, in East Beirut, the worn-out vehicle seemed to fight for an ever-shrinking space among newer models. But Jamal didn’t sound intimidated or disturbed by his comparative poverty. His language is revolutionary, laden with terminology affiliated with various ideological brands: Islamist, Socialist, Pan-Arabist. There are many like him in Lebanon, emboldened by the impressive victories of the resistance, and the failures of all who attempted to co-opt it. Still, cultural differences remain. There are many others, who, although Arab, prefer to speak in French. Indeed, the conflict in Lebanon cannot be reduced to mere groups and individuals, but is also a cultural clash. 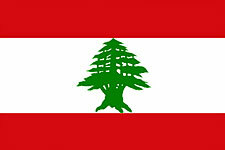 The party that will eventually prevail will ultimately define Lebanon: as an Arab country or some other imagined entity. There is much haste here, as the clash is expected, once more, to come to head. The Special Tribunal for Lebanon (STL), which was set up in the wake of Hariri’s assassination is expected to reveal its findings soon. It is feared that the investigation will blame “rogue elements” of Hezbollah for the killing, as disclosed by the leader of Hezbollah himself, Sayyed Hasan Nasrallah. Many here believe that STL has been largely compromised and politicized, and is a Western-Israeli platform intended to destabilize Lebanon and extract concessions from Hezbollah. The outcome of its investigation is likely to also be political. Many are worried, although some are comforted by the fact that Hezbollah is just too strong to be undermined by STL’s findings. He pulled in another deep breath of smoke, and held it in for a while. Then he slowly released it, as we finally crossed the bridge.